The YMCA of Greater Boston’s General Board of Directors has appointed James Morton as the 13th President and CEO of the YMCA of Greater Boston. James will begin his role on April 6. James joins the Greater Boston Y after serving at YMCAs in Hartford, CT and Springfield, MA. Prior to joining the Greater Boston Y, James served as President and CEO of the YMCA of Greater Hartford where the Y experienced double digit growth in contributions; developed innovative programming; improved the membership engagement experience; and built many collaborative relationships. He led a successful $15 million capital campaign and launched a new strategic plan to guide the work of the organization. He also has a deep personal and professional connection to workforce development and education having served as a leader of two workforce development agencies and as an educator in the Springfield, MA public school system. James earned a Bachelor of Arts in sociology from the University of Wisconsin and his Juris Doctorate from Northeastern University School of Law. He is a current member of the Massachusetts Bar Association, serves on the Commonwealth of Massachusetts’ Board of Elementary and Secondary Education, and is a trustee of Springfield College. James has a compelling personal history that exemplifies the positive impact that the Y makes. With an African-American father and mother of Irish descent, James laughingly often introduces himself as “Black Irish”, and his background and personality provide him with a unique ability to forge meaningful connections with everyone that he meets. The YMCA of Greater Boston is pleased to announce two recent changes to its leadership staff. Allston resident Aaron Donahue is now executive director of the Huntington Ave YMCA, and Somerville resident Tom Myers has been named executive director of the Oak Square YMCA in Brighton. Aaron began his YMCA career in multiple part-time positions in 1996, and after 16 years of Y leadership, accepts his third executive director position, now leading the Huntington Avenue branch in Boston. For the last two and a half years, Aaron served as the executive director of the Oak Square Y, revitalizing the branch’s board of advisors, growing membership by almost one hundred percent, and increasing charitable giving to the Y’s annual fund from $130,000 to $265,000. He also assisted in the recognition of the branch as the 2013 Brighton Business of the Year. Tom started his Y career in 2003 at a summer camp in the YMCA of Central Massachusetts. In 2006, Myers assumed the role of Assistant Youth & Teen Director of the Boroughs YMCA in Westborough, MA. In 2008, Tom taught health education at the Josiah Quincy Elementary School in Boston’s Chinatown neighborhood, before joining the Oak Square YMCA staff team in 2010 as the branch’s Youth & Family Director. Most recently in his role as Oak Square’s Director of Operations, Tom championed member engagement initiatives by utilizing social media and implementing staff “office hours” to help program directors form stronger relationships with YMCA members. He also repositioned the Y’s fall OAKtoberfest 5K race with new marketing strategies that doubled the size of the field and increased the dollars raised from $3K to $13K in one year. 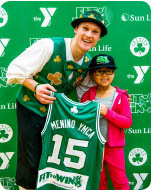 The YMCA of Greater Boston is teaming up with the Boston Celtics and Sun Life Financial to launch Fit to Win, a program aimed at improving the health and well-being of young people throughout the city of Boston, as well as promoting diabetes education. Throughout the program, children in grades 3-6 are participating in daily workouts, and being encouraged to maintain a nutritious diet and make healthy lifestyle choices. In conjunction with NBA Fit Week, the program debuted on January 22 at the Menino YMCA in Hyde Park and will continue at the Roxbury and East Boston YMCAs in the spring. The program features a series of events at each YMCA over the course of four weeks. Each four-week session culminates with a Championship Event celebration to recognize the hard work and dedication put into completing the program. For a parent, there is nothing more stressful and difficult than dealing with a child who has medical needs. Imagine your home is 6,000 miles away, English is not your first language, you have no friends and family nearby—and you have a four-year old in tow. 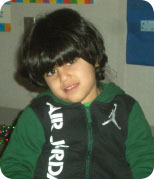 That was the situation young parents from Kuwait faced as they searched the Boston area for a temporary placement for Marty, an energetic pre-school child who was spending too much time in hospital waiting rooms and cafeterias. His parents worried about his isolation from peers, but the uncertainty of their Boston stay made it difficult for them to find a pre-school willing to take the youngster. Marty is one of 3,000 children growing, learning and thriving in a YMCA of Greater Boston program. Last month, several YMCA staff and volunteers joined the Alliance of MA YMCAs at the Statehouse for Advocacy Day. The day was especially exciting for the Charlestown Y due in no small part to the talents of teen Patrick Sicotte, a Charlestown Leaders Club member who entertained almost 200 Y staff and state legislators in his 35 minute musical set in the Hall of Flags. Patrick also spoke on the positive impact of the Y on his life and outlook. 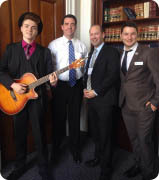 Patrick also performed for the offices of Senator Sal DiDomenico and to Representative Dan Ryan, which opened the door for the Charlestown Y team to share the positive impact the Y is having on the local community.